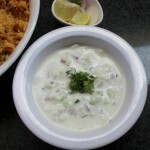 Cucumber Raita Recipe is the most refreshing raita recipe made with kheera and yogurt. Its a cool side dish usually served along with biryani recipes both veg and non veg. The kheera is usually eaten as it keeps us cool and in summers we find cucumbers everywhere and they are usually eaten by sprinkling salt on it and they go very well in salads too. The kheera raita is so simple, easy and is a perfect side dish to various rice delicacies and loved by both vegetarians and non vegetarians. 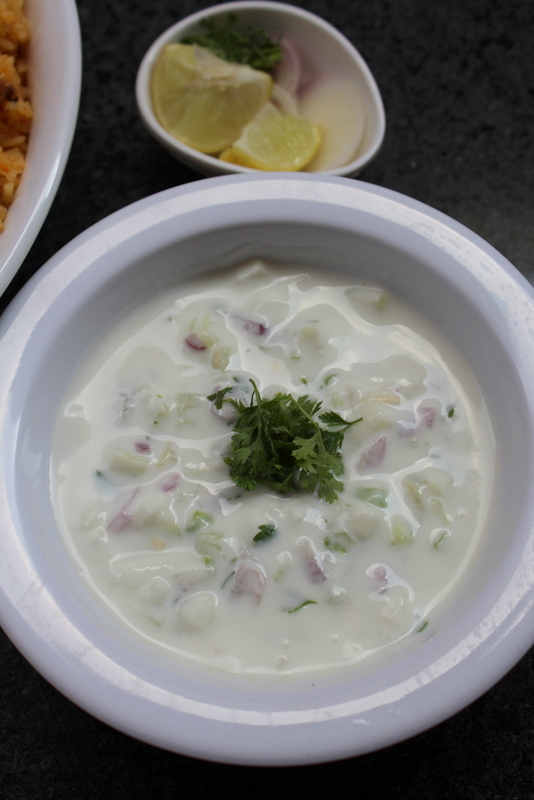 The raita takes in very few ingredients like onions and fresh herbs like coriander leaves and mint leaves and can be made with many variations but the raita takes in common ingredients like onions and herbs. 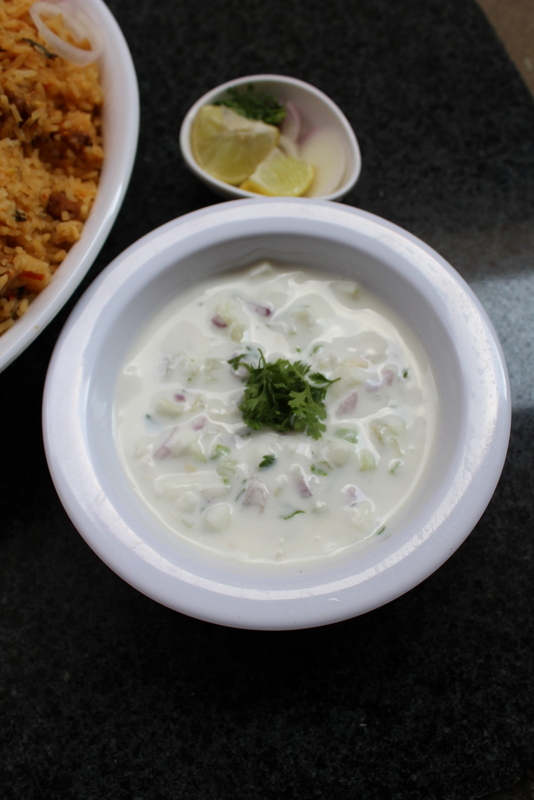 The cucumber raita or the kheera raita is the quickest in making and can be made in few minutes. It is the simplest and coolest recipe and every raita recipe can be made instantly if the main ingredient is available handy. Raitas are usually made to keep the tummy cool after eating spicy food and it can also be eaten plain without any main dish. Below are the recipe details on kheera raita recipe. A cool kheera raita best during summer season and along with spicy food delicacies. Firstly, take a bowl and add yogurt into it. Beat the yogurt well with a beater until there are no lumps. Add all the chopped ingredients such as chopped kheera/cucumber, chopped onions, chopped green chillies, chopped coriander leaves, chopped mint leaves. Add a pinch of cumin powder if required. Mix all the ingredients carefully with the yogurt. Check the taste for salt and add if required. 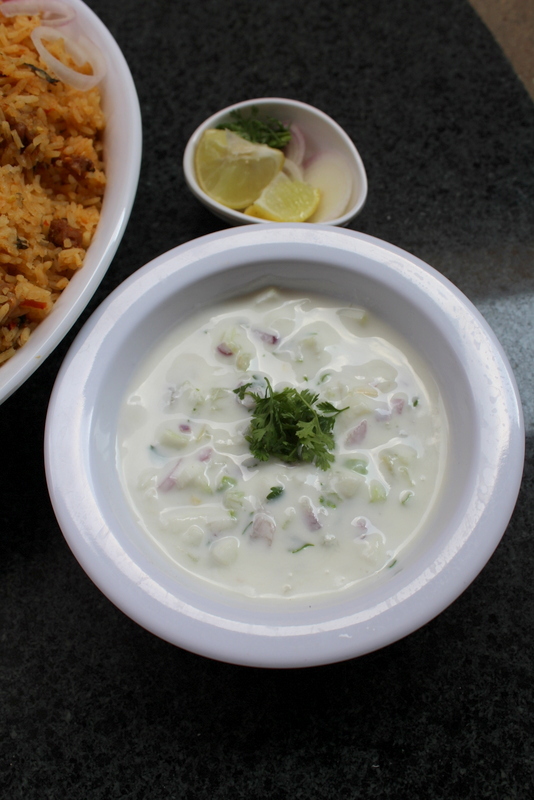 Serve the raita with rice or biryani!! !